In response to the dastardly terror attack against a Central Reserve Police Force (CRPF) convoy in south Kashmir’s Pulwama district, India announced that it would revoke the most favoured nation (MFN) status given to Pakistan. Following this announcement, India, under the Customs Tariff Act, increased customs duty to 200 per cent on all Pakistani imports to India. The MFN provision, given in Article I of the General Agreement on Tariffs and Trade (GATT) is a principle of non-discrimination, which prohibits WTO member countries from discriminating between their trading partners subject to certain exceptions. It obligates all WTO member countries to treat all other member countries equally as ‘most favoured’ trading partners. India has been honouring its MFN obligation towards Pakistan since 1996 i.e. after the formation of the WTO. However, Pakistan has not done so. Till 2011, Pakistan allowed only 1,946 items to be imported from India. All other items were prohibited. After 2011, Pakistan moved from a ‘positive list’ to a ‘negative list’ approach where it permitted all imports from India barring 1,209 items that remained on the banned list. While this was a step forward in normalising trade relations, it still fell short of fully honouring MFN obligation towards India because Pakistan does not impose such restriction on imports from other countries. Given this background, it is imperative to examine the economic and legal feasibility of India’s move. Bilateral trade between India and Pakistan has increased from $0.34 billion in 2003-05 to around $2.3 billion in 2016-17. However, it is abysmally low when compared to India’s total trade of around $970 billion in 2018 and Pakistan’s total merchandise trade of around $78 billion in 2017, which includes exports worth around $21.5 billion. At present, India exports goods worth $1.9 billion to Pakistan, while Pakistan exports goods worth $0.5 billion to India – just around 2% of Pakistan’s total merchandise exports in 2017. India’s decision to impose a 200% customs duty on all Pakistani goods will lead to a significant drop in Pakistani imports to India. However, given the low trade volume, it will not have any noticeable impact on Pakistan. There will be a very marginal decline in Pakistan’s total exports and that too assuming Pakistan is unable to find alternative markets. In fact, there is a high possibility that this would increase the share of informal trade (trade routed through third countries like UAE and Singapore) between India and Pakistan, which currently is estimated to be at $4.71 billion – almost double the formal trade. In other words, if India’s objective behind not honouring the MFN obligation is to impose costs on Pakistan, it might not work. Another important point to bear in mind is that given India’s decision, it is only a matter of time before Pakistan imposes retaliatory tariffs on Indian goods and/or expands its negative list prohibiting imports from India. Such retaliatory tariffs will jeopardise Indian exports worth close to $2 billion, thus harming India more than it would harm Pakistan. Will India be able to justify the deviation from the MFN obligation towards Pakistan as per WTO law? First and foremost, India cannot justify such a deviation on the pretext that Pakistan does not honour MFN obligations towards India. The correct recourse to Pakistan not honouring its obligation is to mount a legal challenge in the WTO. It is indeed surprising, why successive Indian governments, including the current government, have never legally challenged Pakistan for not honouring its MFN obligation towards India. For India to justify deviation from the MFN obligation, it will have to make a case under one of the GATT exceptions. One such exception, which will be relevant in the current scenario, is the national security exception given in Article XXI of GATT. Till now, there have been very few instances where GATT/WTO member countries have invoked the national security exception. In the pre-WTO era, the US relied on the national security exception to defend its MFN violation when it imposed a trade embargo on Nicaragua in 1985 to oppose the communist Sandinistas who were in power. However, given the weak and diplomacy-based method of resolving trade disputes at that time, the US defence was never judicially tested. In the post-WTO era, in 1996 when European Communities (EC) challenged the Helms-Burton Act of the US that strengthened the American embargo on Cuba, US again justified it as a national security exception. Even here, before the adjudicatory process could start, the US and the EC reached a settlement. Last year, the Donald Trump administration in the US announced a hike in steel and aluminum tariff rates citing national security. While the core reason behind hiking tariff rates was apparently protecting the US industry, the US administration invoked national security as the reason anticipating that its measures will be challenged before the WTO. 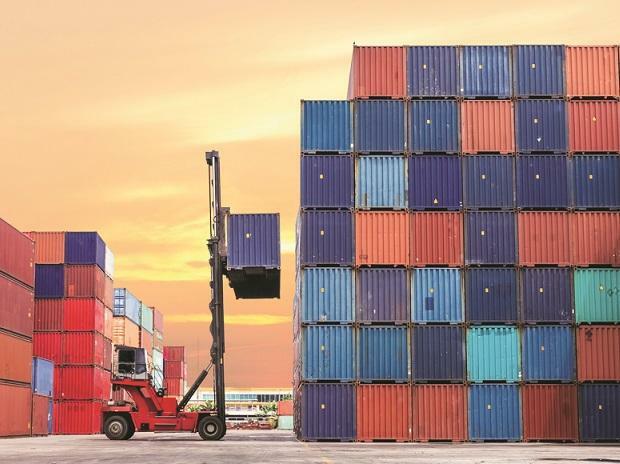 Unlike the Trump administration’s official communication, India’s customs notification that announced the hike in customs duty to 200% on Pakistani goods, states that the customs duty “should be increased and that circumstances exist which render it necessary to take immediate action”. There is no mention of either national security or essential security interests or what kinds of circumstances have rendered such increase necessary. This is surprising because if India wants to build a full proof legal case it should have made reference to national security or its essential security interests in the notification. Article XXI (b) of GATT allows a WTO member country to take any action that ‘it considers necessary’ for the protection of its essential security interests. Two questions are pertinent. First, do the words, ‘it considers necessary’ make the provision self-judging? In other words, does the invoking country have the full authority to enact any measure it likes to protect ‘essential security interests’ without any review by a WTO panel or the Appellate Body? While there is little case law on this, many commentators argue otherwise. Although Article XXI (b) gives wide discretion to a country to decide unilaterally its national security measures, such unilateral determination is subject to a good faith ‘judicial review’. Such good faith review is necessary to ensure that countries do not abuse the national security exception. Such good faith review would also include a determination of whether the country considers that the interests it is pursuing to protect are ‘essential security interests’. Thus, at a minimum, India will have to provide a reasonable explanation as to why and how increasing customs duty to 200 per cent on Pakistani products is ‘necessary’ action to protect India’s ‘essential security interests’. The fact that none of the traded products (for example, dry fruits, fruits and cement) are used for military or other security related purposes could be a relevant factor in this analysis. Second, is Article XXI (b) a general national security exception? No. National security exception in Article XXI (b) can be invoked only if the measure adopted relates to fissionable material, to traffic in arms or other related material, or is taken in time of ‘war or other emergency in international relations’. In the current scenario, to justify the hike in customs duty on Pakistani products, India will have to show that there exists a situation of ‘war or other emergency in international relations’. Even here, though India will enjoy a margin of appreciation, India’s unilateral determination of existence of ‘war or other emergency in international relations’ shall not be sufficient. A WTO Panel shall be entitled to examine whether India’s determination is reasonable and made in good faith keeping in mind the objective of Article XXI. If India wants to build a case relying upon Article XXI of GATT, it should be mindful of these points. The current state of bilateral relations between India and Pakistan could be aptly described as a situation where at least India does not wish to be subject to normal trading rules. The GATT and WTO rules provide limited opportunities for opting-out of bilateral trade relations barring the circumstances given in Article XXXV of GATT. Article XXXV of GATT (also read Article XIII of the WTO Agreement) allows a member state, at the time of accession of a new country to the WTO, to declare that the WTO rules will not apply in their trading relations. This option is not available to India since both the countries have been founding members of GATT and the WTO. Also, such opting-out shall not be consistent with Article XXIV.11 of GATT – a special rule created just for India and Pakistan to forge deeper trading relationships notwithstanding their GATT obligations. When Imran Khan became Pakistan’s Prime Minister last year, he made a promising start by stating that India and Pakistan should deepen their trade ties to lift millions of people out of poverty. Now, it is time for him to walk the talk. For bilateral and SAARC regional trade to blossom, a congenial atmosphere has to be created. It is difficult to talk of trade when suicide bombers are killing Indian soldiers. Therefore, Pakistan has to act decisively and ensure that its soil is not used for terrorism against India. Likewise, India should bear in mind that deepening trade ties with Pakistan could be part of a long term solution in bringing peace in South Asia. Deeper economic integration through trade will create vociferous constituencies that would demand and lobby for peace as it would serve their interests. The overall net-effect would be fewer conflicts and thus more peaceful relations. Prabhash Ranjan is an Assistant Professor of Law, South Asian University. Views are strictly personal.